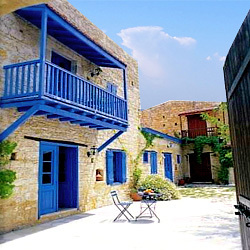 The main characteristic feature of the village is the narrow streets and stone built houses, as well as the many listed houses. Another interesting feature is the two stone built bridges found in the middle of the village along Argaka way, crossing the village. There are also many small chapels and medieval fountains to be seen. 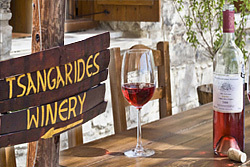 The Tsangarides winery is situated in the lovely old village of Lemona. 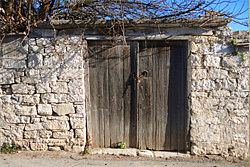 Its here our Great Great Grandfather prepared the land and planted out the first vineyards, tending and nurturing the fruit of the vine in much the same way as his descendents do today. 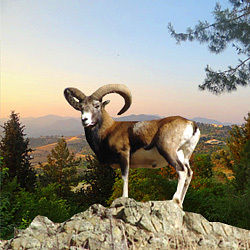 Then, the wine made was primarily for domestic consumption, but slowly, over decades the accumulated knowledge gleaned from travel and education via foreign winemakers has resulted in the wines being acclaimed as one of the best examples of a boutique winery supplying consistently high quality wines for the table. 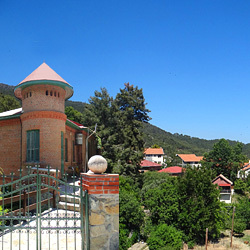 Located in the coveted south end of the Troodos Mountains, the TSANGARIDES vines nestle and thrive amongst some of the most picturesque scenery. 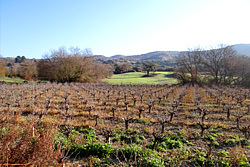 In the beginning enormous effort went into site selection and the process of matching varietals to sites that matched the idea of distinctive wines, and accurately reflected the vineyard. 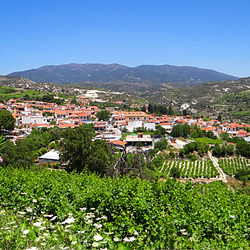 As we grew, we planted more and more sites with the result we now work with three vineyards which in total amounts to 100 Thousands square meters of organic vineyards, making them the biggest on the island. The all essential free draining soil of the vineyard forces the roots to grow deep, and deep rooted vines pick up more character from the earth. The stony soil also captures and reflects the heat from the sun, and it's this combination of factors which results in more full bodied, complex, red wines. The Lemona valley experiences long dry autumnal days, ideal for the ripening of the fruit, and cool nights help retain freshness, with warm days building the concentration that delivers aromatic and fresh tasting white wines. 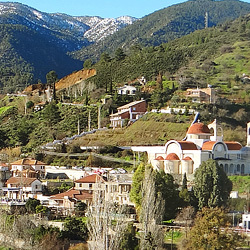 Ezousa valley is found on the south west part of Troodos mountain range and extends for nearly fifty km. 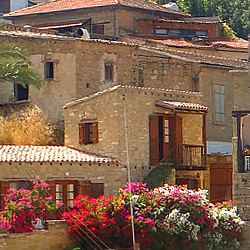 It is dotted by a number of picturesque villages and boasts medieval chapels, breathtaking views, local wineries, a high-altitude large manmade lake, rich avian biodiversity, an abandoned village, watermills and more. 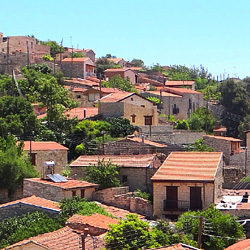 The walking route starts at the traditional Episkopi village, whose landmark is described as 'the biggest Μonolith on the island'. 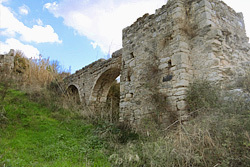 There's also a very good Environmental Information Center in the village as well as ruins of a medieval church (St. Hilarion). 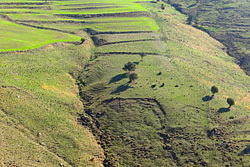 The walking route is rather easy as the elevation range is just 200 m. The length of the walk is 12-13 km. The walk is in the open valley and passes (briefly) through the small Ammati alder forest. 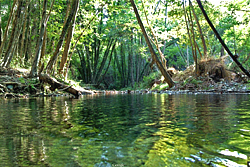 Walkers may cross the Ezousa river a couple of times and get a bit wet/muddy. 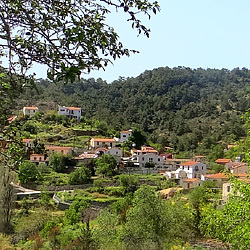 The route passes by three watermills in the valley and relatively near the abandoned Moronero Turkish Cypriot village (walkers may spot the partly restored Agios Gennadios chapel on the way). 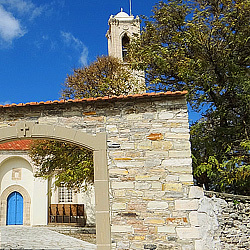 Near Choulou walkers pass by the medieval Agios Georgios chapel (it still has some frescoes). Choulou was a feudal estate during Frankish rule and home to Arodafnousa, a medieval beauty in a love/hate drama of the time. 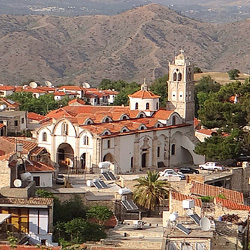 The cultural heritage of the village besides Byzantine also includes Latin as well as muslim elements (there was a Turkish Cypriot minority living hear until 1963). 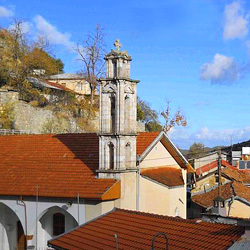 This Church was built in the 13thcentury with the coming of the Frangous and was the personal belonging of the land owner of Choulou at that time. The interior and its roof from the bell tower and back are covered with murals of icons depicting scenes from the Old and New Testament of the Holy Scriptures. 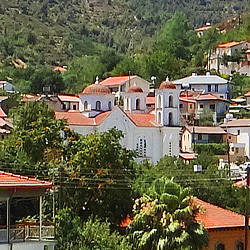 The icon of Pantanassa is kept in the shrine and is a masterpiece from the 14thcentury. The murals of Pantanassa are in the loft area and are from the 13-14th represents the tragic story of Arodafnousas with her two children along with the Queen Eleonora. The Epitaph here is one of the most anciently preserved of its kind, it is woven with pure silk. Found within the community, this Byzantium style Church was built in the 8-9th Church was used by the Orthodox Christians during the Frangous period. 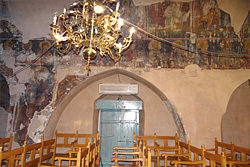 The interior walls were covered with murals. 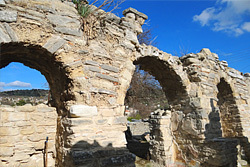 Unfortunately, at the time of the Ottoman rule, the roof collapsed and was never reconstructed. 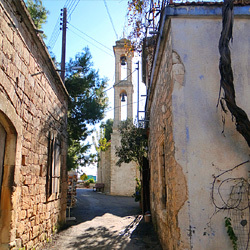 Many murals were however saved and are to this day kept at the Holy bishopric of Paphos..
As you walk through the villages of Choulou and Lemona, the vegetation you are most likely to see are, the olive plantations, locust trees, almonds as well as many other wild growing greenery, you will enjoy the sounds of the Ezousa River as well as the streams of Halaras. No matter how many times you cross these paths, it will never fail to fill your senses with wondrous joy for the nature surrounding you! 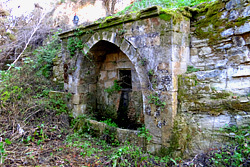 In the bed of Argaka community there is found a medieval fountain that is built out of rocks, this is worth a visit, not only for the beauty of the fountain itself, but also for the beautiful area that surrounds it. 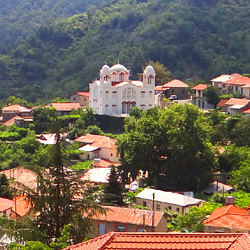 This feature of the village is situated down in the area of the Ezousa River about one kilometre west of the village. 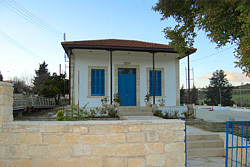 Unfortunately, the school is no longer open due to lack of students in the village; it is instead used as a cultural centre. It is a listed building with much architecture surrounding it. In the playground there is a memorial to many heroes who came from the village. Also this school courtyard is often used for cultural and other events such as parties and weddings. 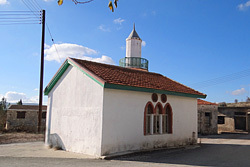 The mosques that are found in the centre of the community that are still in excellent condition give clear evidence that GreekCypriots and TurkishCypriots once coexisted in harmony. 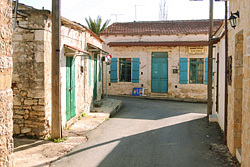 Wandering the beautifull alleys of the tiny village reveals good examples of the area’s architecture.